Haha! It certainly does have that effect on people. My mind was set on a 3570.50 tho. Happy wearing! 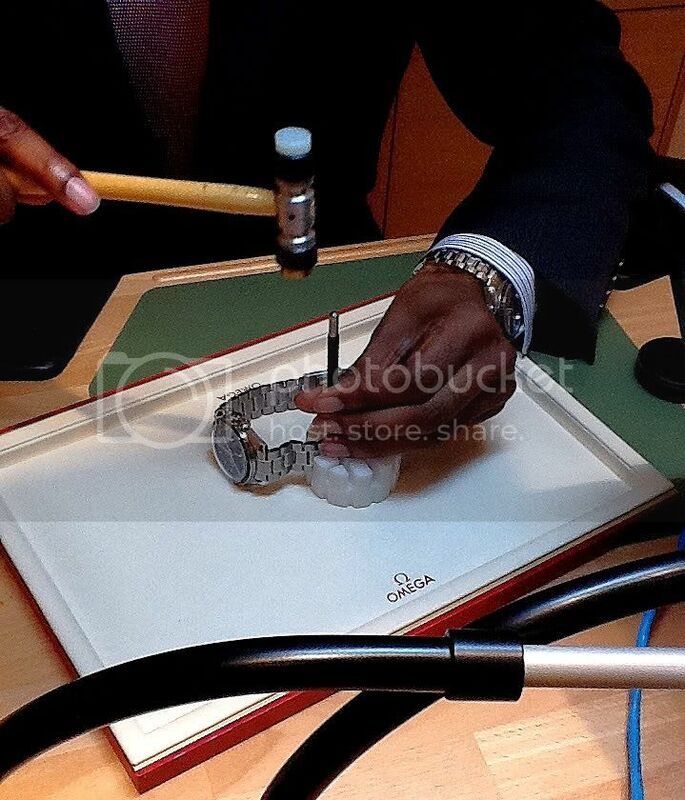 And the caseback looks like this. I have been very happy with this piece, it's the flagship of my rather small beginnerscollection. 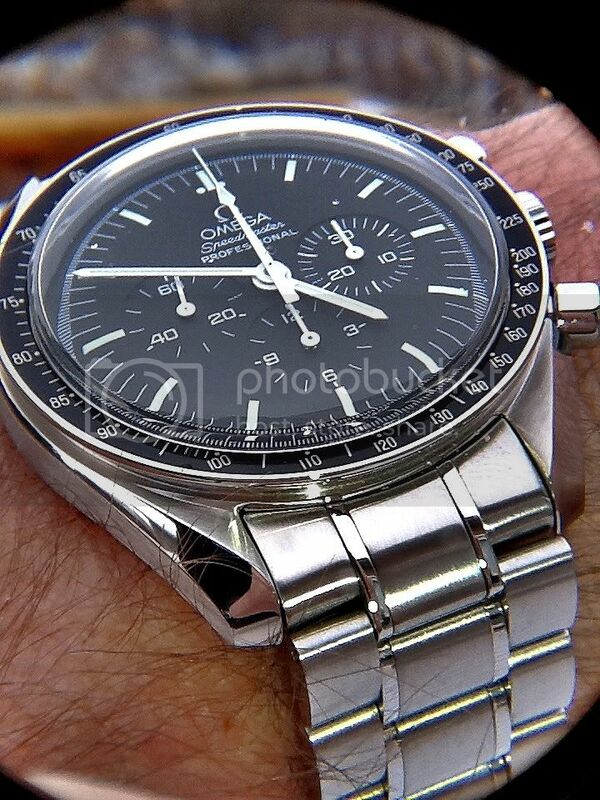 It's an honour to belong to the Speedmaster Club. Thanks for showing your beauties guys! flyinghell34, Fullers1845, gippo and 3 others like this. That's a good looking watch! I'd love to hear what you think of it. Fullers1845, garydusa, Black5 and 1 others like this. "Greetings" ...and joining the club on my first post! 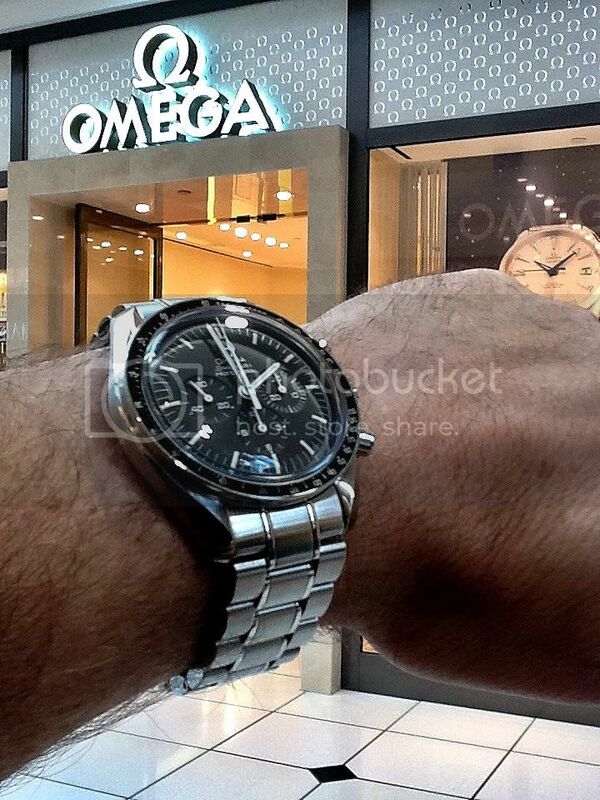 And "Memory lane" (3 months ago) @ the "Omega Boutique": The moment of sizing and that first wrist shot! Fullers1845 and mitadoc like this. Joined the club today. I should have done this sooner! Such an iconic and comfortable watch. This thing will be constantly fighting the explorer for wrist time. I love it. i was a tiny bit concerned about the 40 mm size, but it fits my wrist perfectly (my PO 8500 is 45mm in comparison). I love the movement also. ive heard many complaints about the F Piguet based 3313 movements, but the 3330 in the SMR is based on the Longines L688 column wheel chrono, with a coax escapement and silicon balance wheel to boot. its definitely my new favorite.